We all remember it… That feeling of overwhelming heartbreak and devastation when you have your first breakup as a teenager. Your best girlfriends tried to be there for you and understand as best they could, but no one understood like our moms. After all, they had been through the exact same thing many years ago and grew from the experience. I remember my mom telling me that my first love wouldn’t be my last, and she was certainly right. There’s a reason why they call it puppy love, after all. Of course there are very special circumstances where high school sweethearts will stay together forever, and it’s amazing to find true love that young. But for the majority of us, the real deal comes along a little later on, just like our moms told us it would. While bullies and mean girls might be popular in middle school, we all learn as we get older that it’s kindness that counts. And, it takes kindness and respect of others to truly be successful in this world! When our moms told us that what goes around comes around, they knew what they were talking about. Being nice pays off, even if it means having to separate yourself from the “in crowd” way back in the day. We touched on this piece of sage advice in our post about the best beauty advice our moms gave us, and it’s worth repeating. 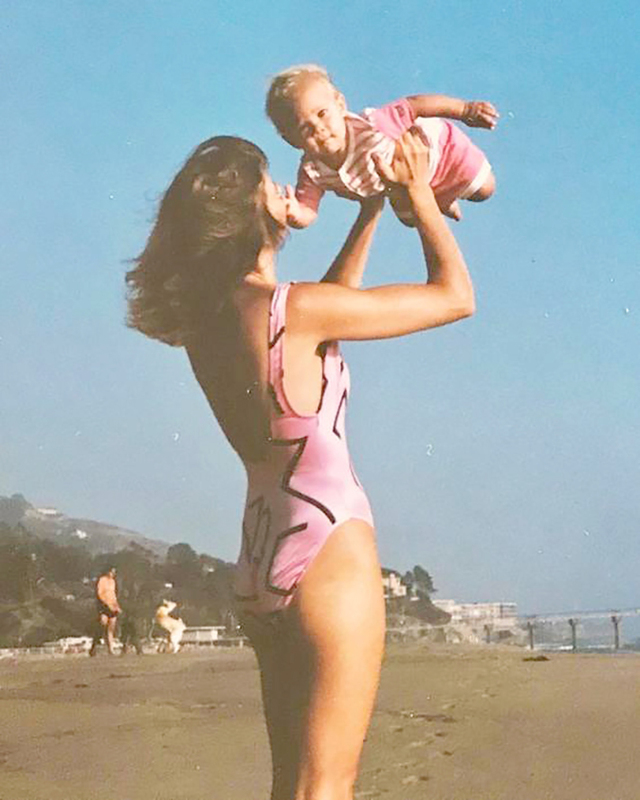 Every mom gives this advice, and while we might not take it seriously when we’re younger (I sure didn’t… Hello, hours of laying out at the beach), it’s truly important. As we get older, we realize how important it is to take care of our skin—not just for cosmetic reasons but also to stay healthy and prevent skin cancer. #tbt to the days when heavy black eyeliner and tons of bronzer was all the rage. Does anyone else remember your mother telling you that you didn’t need to wear makeup? That you were prettier without it? Nowadays, with a little wisdom under our belts, that is the most wonderful compliment a girl can get. But back in my teenage years, I would roll my eyes as I proceeded to outline them with my eyeliner pencil. Mom (and Audrey Hepburn) was right when she said that happy girls are the prettiest. Our moms always know what’s best for us and they know what we deserve. We might not have understood what it meant when they told us to never settle back when we were younger, but after a few years of having different relationships, friendships and jobs, it begins to make sense. Never settling means always going for it—asking for what you believe you deserve and not going below what you’re worth. I’ve kept this phrase in mind throughout my professional career and in my relationships too. The end result of getting what you feel you deserve leaves you so much happier in the end. This one might not be as deep as the others, but it really rings true! When we were kids a lot of us didn’t want to eat healthy foods. Now that we know how important a healthy diet is, not only for looking and feeling great but also for keeping good health and preventing disease, it’s easy now to see why there was a reason why we had to eat that broccoli at the dinner before getting up from the table. Do you have any reasons to add to this list? What’s the best piece of wisdom your mom ever told you? Cheers to all the wonderful moms out there who do such a beautiful job of raising their kiddos! I hope you all liked our posts for Motherhood May this month. Check back in later this week to find out what we have in store for June here on LaurenConrad.com.